The cases feature "elemental imagery"
Pixel users can now customize a Pixel case with one of 12 vapour wave-style designs by Toronto’s Joy and Rose Broadbent. Each of the 12 cases features “elemental imagery” — think fire, water, earth or air. “Bright colours are used to ignite feelings of sensuality, power and femininity, and have an illuminated quality,” the sisters told Google in a blog post on the collaboration. 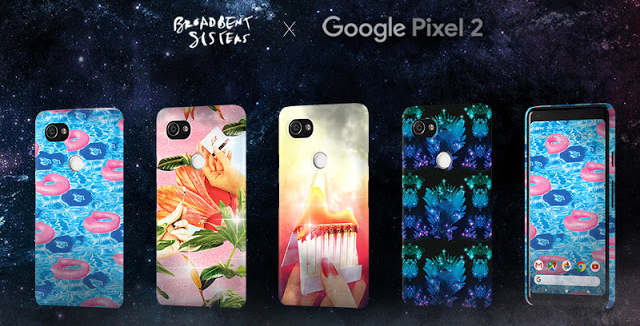 The Broadbent Sisters are just two of the artists partnering with Google on custom Live Cases. Others include Curtis Kulig and Nina Chanel Abney. To customize the cases, which are available for both first and second generation Pixels, buyers can change the size and slant of the image online before making the purchase. 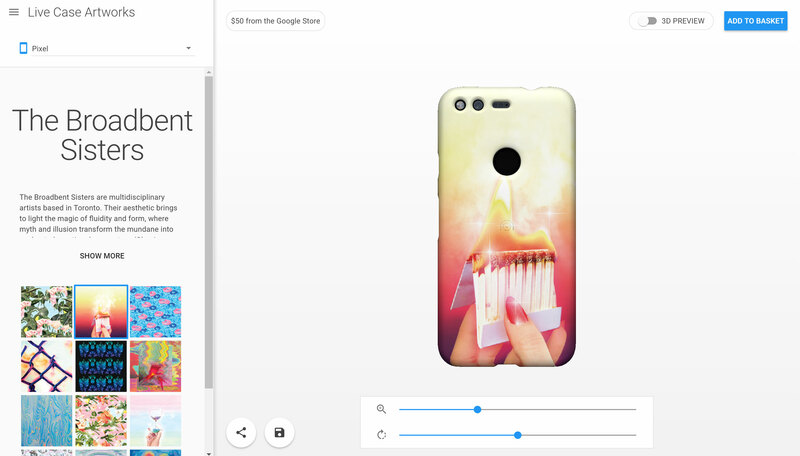 The customizable Broadbent Sisters Live Cases are available for $50 CAD on the Google Store while supplies last.